A 38mm unit in use at the Sydney plant of Australian crane builder Favelle Favco. PIPER Tools has extended its range of reversing and non-reversing tapping chucks with a 38mm capacity non-reversing unit - the largest non-reversing chuck in the company's range and the latest addition to the only locally manufactured tapping chucks in Australia. Designed for use in the heavy engineering, mining and construction industries, Piper's 38mm capacity unit has a unique clutch mechanism which protects both the tap and the drilling machine when tapping blind holes or if the tap jams in the hole. Piper's managing director Margaret Goldie said this feature was especially useful when tapping smaller holes. "The clutches in most imported chucks are not designed to continually stop taps at the bottom of blind holes as this causes wear in the mechanism. “In contrast, Piper's clutch disengages completely, freewheeling until the operator reverses the machine and automatically re-engages the clutch," she said. Due to the product line's long lifespan, markets for Safetap equipment are widespread and include engineering, mining, shipyards, carmakers and construction. Having used Piper reversing tap chucks since the mid-nineties, Favelle Favco can vouch for their reliability and ease of use and expects the new chuck will be equally as reliable as the other models. Piper's range of tapping chucks is available in reversing and non-reversing types with the reversing models especially useful in high-speed production work. Piper records one user tapping 20,000 six-millimetre holes at 2,000rpm in mild steel without problems, although this is almost double the recommended speed for that size tap chuck. 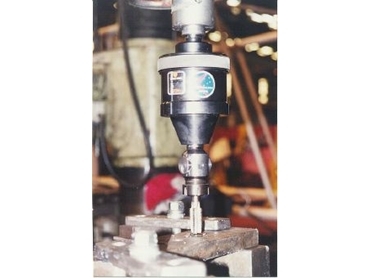 Piper Tools, an Australian-owned company established in 1934, manufactures a range of tapping chucks for holes 2mm-38mm diameter. Traditionally focusing on the machine tool accessories market, Piper's reputation for innovation and quality is showcased in its latest tapping chuck range.